Many people separate well before filing for divorce. What most people don’t realize, however, is they don’t have to go all the way to divorce. Under the Illinois Marriage and Dissolution of Marriage Act, a person may make the separation formal. Why legalize a separation? There are many reasons to make a separation from your spouse legal. First, you are able to obtain an award of maintenance or spousal support from your spouse requiring your spouse to send you support for living expenses while you are separated. Second, you are able to legally divide your property so you aren’t constantly fighting with your spouse to get the dish you left at his or her house. Why not just go through with the divorce? Many people find benefits to being married so that they don’t want to formally divorce. For starters, there may be tax savings for people who are married. Additionally, certain people are able to obtain health insurance benefits and savings under a spouse’s plan. Lastly, some people aren’t ready to take that plunge and legal separation is a good alternative while the parties continue to decide whether divorce is right for them. 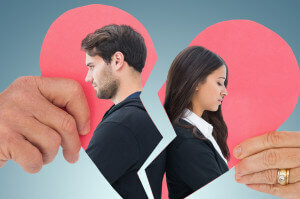 Thinking about legal separation? Contact a family law attorney today to discuss your options.